He was a hero. Make no mistake about it. And, his death in late October, is a great loss to America, not just Indians, he challenged us a to be better people. 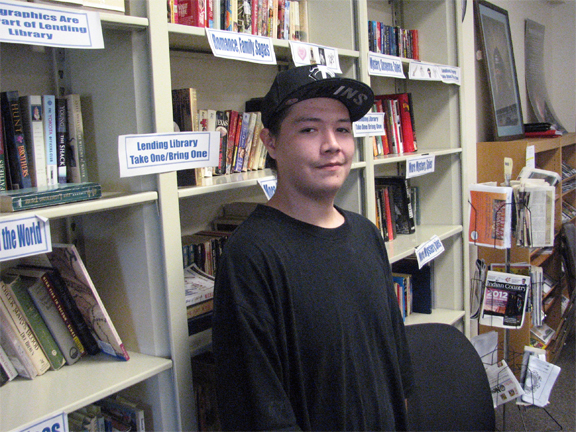 In l973, life was not good on the Pine Ridge reservation in South Dakota, the reservation from which he came. Life expectancy was around 44 years of age and the reservation had a murder rate about eight times higher than the most violent American city. And repression reigned. Off the reservation, things were often worse. In l972, Oglala Raymond Yellow Thunder was beaten, stripped naked and paraded in the American Legion in Gordon, Nebraska. He was stuffed in a car trunk, and a few days later died of injuries sustained in his beating. South Dakota and Nebraska were perhaps the most racist states in the country, barring Mississippi. Oglala Lakota elders asked for help and American Indians from the Twin Cities, and from urban areas or reservations came. Russell Means came. He was one of many. That was the beginning of the American Indian Movement. The passing of Oglala Lakota activist Russell Means to the Spirit World marks the end of an era, and hopefully, the beginning of a new one. Means was a leader, and an Ogichidaa, one who stood for the people. He joined with hundreds of other Native people in the occupation of Wounded Knee in l973, a seventy one day occupation, which came to symbolize the renaissance of the dignity of Native people. It was a time when a people said, "This is enough" The Native occupation of our own lands, was met with the largest military force response of the federal government. According to Pentagon documents uncovered later, the government deployed 17 armored personnel carriers, 130,000 rounds of M-16 ammunition, 41,000 rounds of M-40 high explosives for grenade launchers, helicopters and other aircraft. For those of us who were raised in the time which followed Wounded Knee II we were grateful for the commitment of individuals like Russell Means, and in awe of them as far larger than life icons. The media was fixated on Russell Means, Dennis Banks and the Bellecourts – as the warriors they imagined we were. The American imagery needed new Indians for the Cowboys and Indians era, and in some ways the media set a bar the rest of us could not meet. While I received a very good American education, I also received a very good Indigenous education, and some of it was at the direction of Russell Means and other leaders of AIM. I am indebted to him and his contemporaries, like Pat Bellanger, Clyde Bellecourt, Dennis Banks, Lorelei DeCora, and Madonna Thunderhawk for that. Means became an icon – one of a few images painted by Andy Warhol, an actor in Last of the Mohicans, Natural Born Killers, the voice of Pocahontas’ father in the movie of the same name, and many television series. Through it all, he continued his political critique of America, and his passion for Indigenous peoples. He was one of few Native people who could command the cover of a magazine or a headline with just his name. He was large in his life, and in his passing we acknowledge his presence. This writing is not about debt, it is about gratitude and it is about the future. Since the time when Native people stood up in the l970s, and said that we have a right to exist, we have been to the United Nations, and in 2007, the UN finally affirmed the rights of Indigenous Peoples. 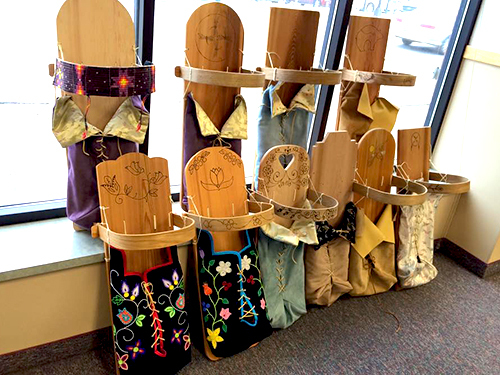 Many state, federal and tribal programs have emerged, (including our own schools, tribal colleges and radio stations) and Native people are on television, in major motion pictures and sometimes on the national news. Pine Ridge is still one of the four poorest counties in the U.S., and Native religious freedom, sacred sites, languages, and ways of living remain under assault. There are fewer Raymond Yellow Thunders, but there are still Native people being killed for their land in the western hemisphere, particularly on the front lines of hydro-electric dams, mining and oil projects in the Amazon. And there is still an absolute need for people to be treated with dignity. 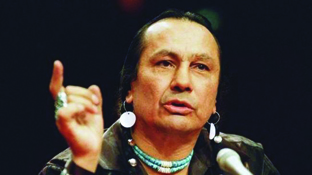 Russell Means lived a life proudly as an Oglala man. He lived fully and left us much to be thankful for. We honor him by continuing this work.